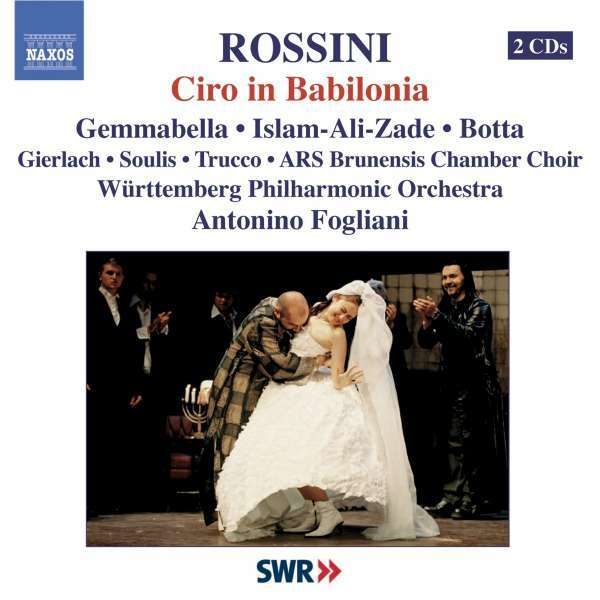 Der Artikel Gioacchino Rossini (1792-1868): Ciro in Babilonia wurde in den Warenkorb gelegt. 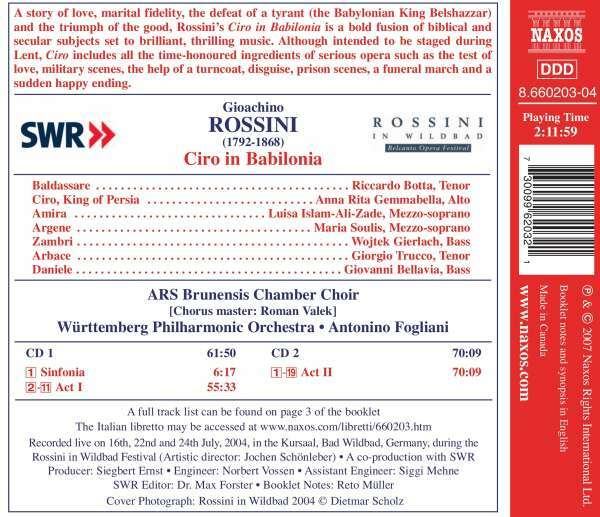 A story of love, marital fidelity, the defeat of a tyrant (the Babylonian King Belshazzar)and the triumph of the good, Rossini's Ciro in Babilonia is a bold fusion of biblical and secular subjects set to brilliant, thrilling music. Although intended to be staged duringLent, Ciro includes all the time-honoured ingredients of serious opera such as the test oflove, military scenes, the help of a turncoat, disguise, prison scenes, a funeral march and a sudden happy ending.